The date is July 22nd, 2011. After detonating a bomb in Oslo, a far-right terrorist traveled to the island of Utøya to massacre teenagers attending a youth leadership Summer camp. Once he was apprehended by police, the country had to come to terms with his actions while the survivors had to rebuild their lives and, if they chose, confront the terrorist in court. Not to be confused with the bravura single take, Norwegian language film U: July 22 (Erik Poppe, 2018) about the massacre on the island itself, due for UK release two weeks after this one, 22 July is the English language film by UK director Paul Greengrass using a Norwegian cast and crew which covers not only the massacre but events leading up to it and its aftermath. It’s based on the book One of Us: The Story of a Massacre and its Aftermath by Åsne Seierstad, a renowned Norwegian war correspondent whose expertise Greengrass says he found invaluable in making the film. 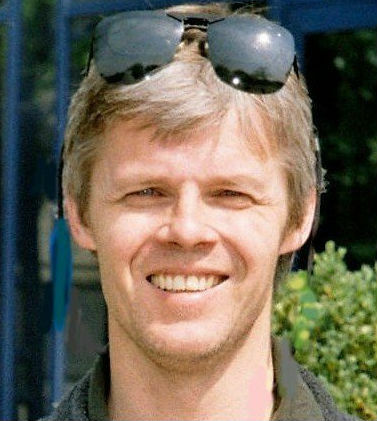 Greengrass’s background in journalism and documentary led to feature films like Bloody Sunday (2002) and United 93 (2006), about the 1972 Derry, Northern Ireland ‘Bloody Sunday’ shootings and one of the commercial flights involved in the 9/11 US terrorist attacks respectively, which dramatise actual historical events with documentarian accuracy. He uses this approach again in 22 July, which shares a great deal with United 93, another film about a terrorist attack perpetrated against a Western democracy. 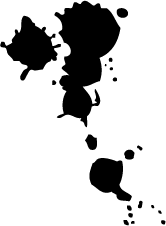 Whereas 9/11’s terrorists were immigrant Islamists from a culture beyond the target country, the lone operator behind the Oslo and Utøya attacks was a far-right extremist and a Norwegian national, the enemy within. Both United 93 and 22 July start with the terrorist preparations and follow them as they put their plans into action, but where United 93 followed both what went on in the aircraft and events on the ground e.g. in air traffic control up to the point the aircraft was destroyed in mid-flight, 22 July covers not only the Oslo bombing and the Utøya shootings in its first third but also the survivors – both teenagers and terrorist – up to and including the point where the former group confronted the latter individual in court. 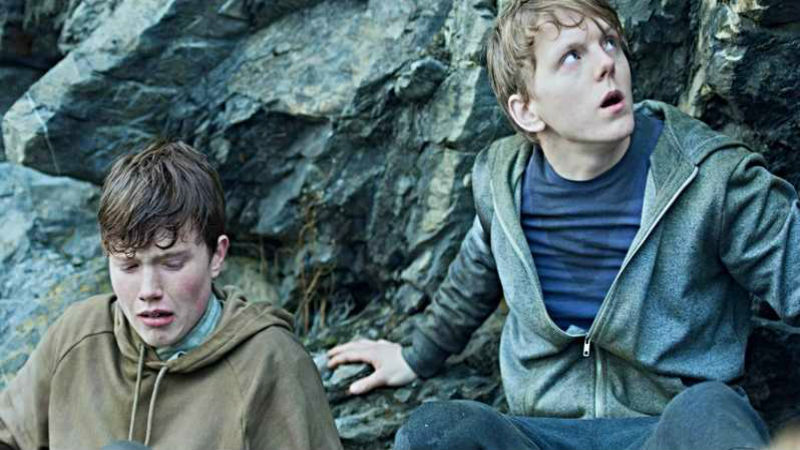 Thus, in addition to one plot line following far right terrorist Anders Behring Breivik (Anders Danielsen Lie), another follows two teenage brothers at the camp Viljar and Torje Hanssen (Jonas Strand Gravli and Isak Bakli Aglen) in their attempts to survive. Viljar, who helps his younger brother flee to safety, receives a gunshot wound to the head and shoulders and for months after the incident must undergo hospital treatment and therapy. As he does so, he must face his own demons: will Viljar be able to confront the terrorist in court and show the world that there is a better way? 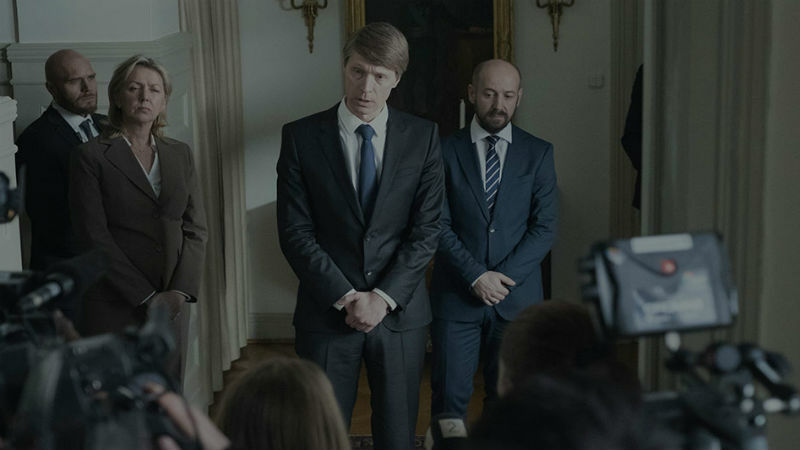 A third plot strand involves the Norwegian PM Stoltenberg (Ola G. Furuseth) as he struggles to deal with the unfolding terrorist incidents. It’s gripping and terrifying material, impressive not least for the huge amount of research that Greengrass, Seierstad and team have clearly put in. On a really big screen it’s visceral and harrowing – apart from Viljar’s sustaining his injuries there isn’t a great deal of graphic detail shown, but the fact that these are carefully crafted recreations of actual events that took place in recent history lends the representation considerable gravitas. Controversially, Greengrass has chosen to make this film with online movie streaming service Netflix and while we would encourage you to see it in a cinema with a decent sized screen if you possibly can, those with Netflix accounts may, understandably, choose to watch it on that platform instead. (Hey – go and see it in the cinema first!) The teenage survivors are the next generation, so Greengrass’ stated intention of reaching that audience via a familiar streaming platform makes complete sense, much as I hate to have to write that this is the case. In short, this is a well researched, realised and performed and to boot a highly effective docudrama about devastating events that remind us to be vigilant in combating and confronting terrorism, whether perpetrated by right wing extremists or anyone else. It would make a terrific double bill if preceded by United 93 for those that have both stomach and stamina to cope with both at once, however it’s undeniably an effective piece of cinema in its own right. You might wonder why Greengrass would need to make a 22 July after having already made a United 93: the answer is, the Islamist terrorist atrocity and the right wing extremist terrorist atrocity are two sides of the same coin, so the pair of films presents us with some sort of wider, balanced view. The new film is absolutely essential viewing in much the same way that the earlier one was. Don’t miss.